The film industry was silent throughout its first thirty-two years, but not for lack of what to say. Silent movies were packed with artistic innovations and social as well as moral statements; the technical limitations of the medium were the only reason they lacked a voice. Still, in comparison with The Jazz Singer, they’re like the mute boy at the dinner table – they have nothing to say. 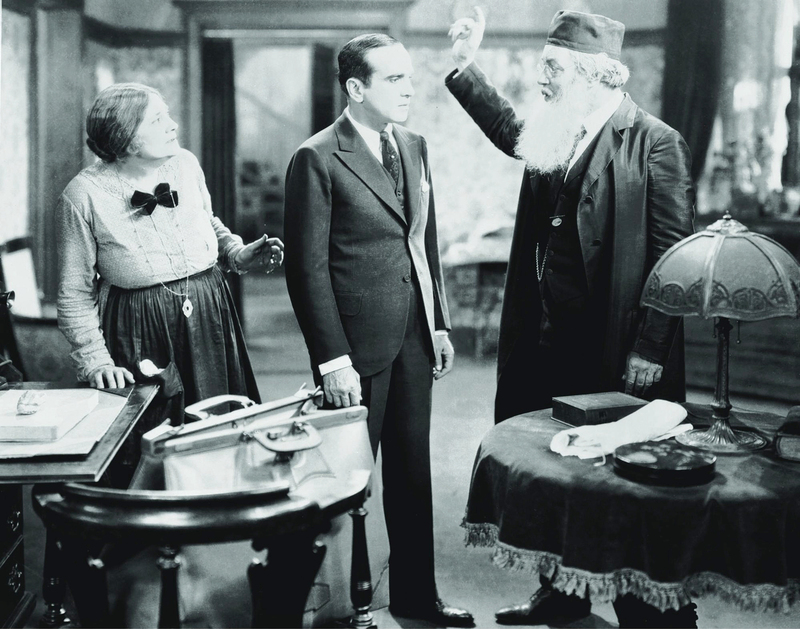 The first sounds to issue from the silver screen did more than mark the end of the silent film era. They echoed with the existential questions haunting the filmmakers and much of their audience: who am I, and where do I belong? And the way the cinema framed these questions in 1927, in the first feature-length film with synchronized dialogue, was typically Jewish. 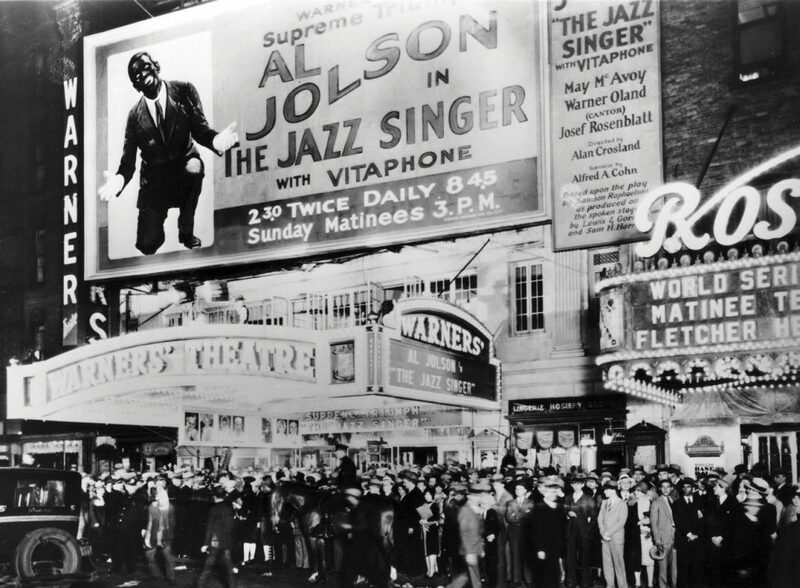 The poster advertising The Jazz Singer omits any mention of sound, yet gives particular prominence to cantor Yossele Rosenblatt’s cameo performance. Was Warner Brothers hedging its bets? The fact that all its characters were mute forced the young film industry to adopt a melodramatic style quite contrary to its inventors’ intentions. The first silent clips, screened at a small Parisian café on Friday night, December 28, 1895, were entirely realistic. They focused on mundane, everyday events – workers leaving a factory, a train pulling into a station, and a snowball fight on the streets of Paris. Auguste and Louis Lumière had hoped the moving images captured by their cameras would open people’s eyes to the uniqueness of each moment in their lives. But the Lumières’ inability to integrate their pictures with a recorded soundtrack detracted drastically from the realism they’d hoped to achieve. 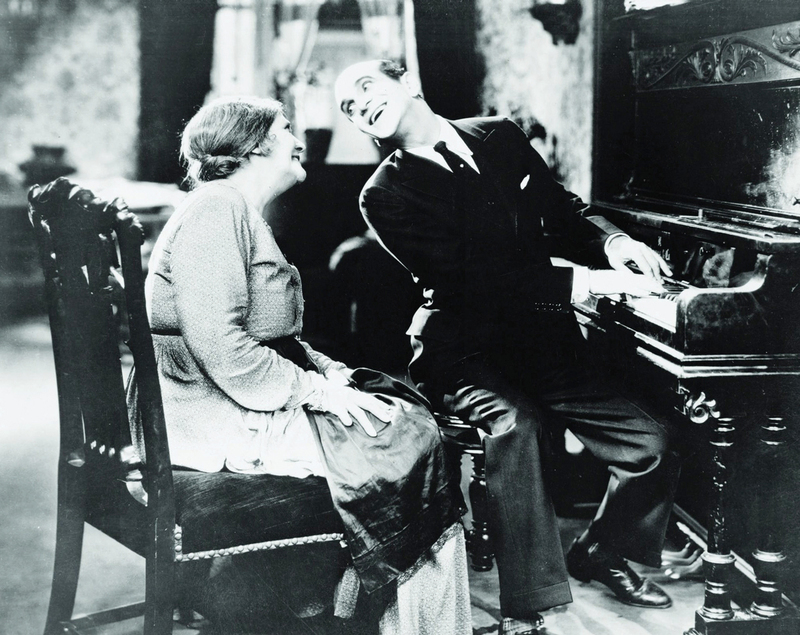 The silent motion on screen was so far removed from the noisy world of its audience that it lacked credibility; the grandiose gestures with which the actors attempted to compensate for the lack of dialogue, and the live music played to accompany the silent screen, pushed the medium toward escapism, histrionics, and extreme artistic experimentation. For many filmmakers, such limitations were untenable. Artists dreamed of films that would “hold a mirror up to nature,” and the search for a technical solution that would tear down the sound barrier dividing reality from the silver screen became a challenge attacked by engineers from every side. The long-awaited breakthrough was finally achieved in the mid-1920s. Western Electric developed the “Vitaphone” and offered it to leading Hollywood studios. This technique connected the film projector to a phonograph. 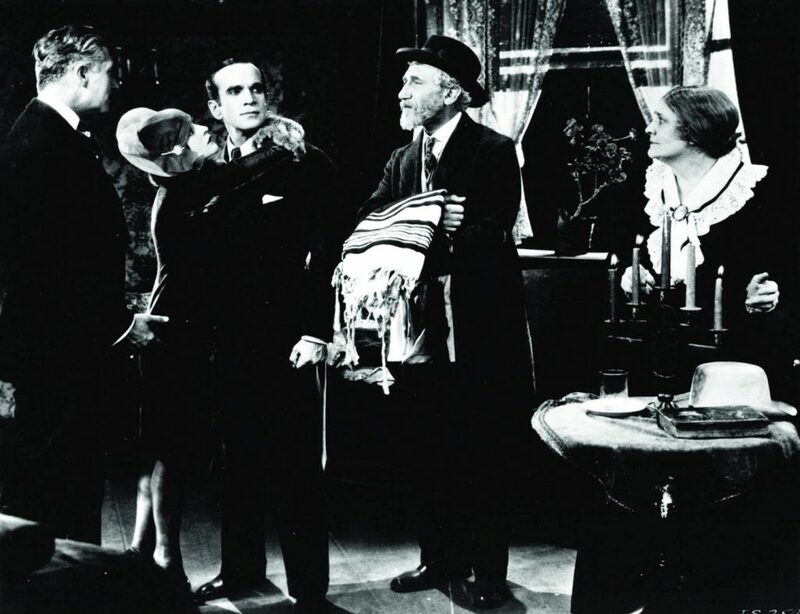 A slight time lag remained between the actors’ facial expressions and the sound, but short scenes in which the cast’s voices were projected over prerecorded background music could now be integrated into otherwise silent films. Studio owners were skeptical. Incorporating the Vitaphone into movie theaters was complex and expensive, and who knew whether the new technology would be a hit? Faced with a choice between guaranteed income and a risky investment in the film industry’s future, moguls preferred their cash in hand. In desperation, Western Electric finally peddled their product to the ambitious managers of a small, dynamic studio, who agreed to give the Vitaphone a chance. 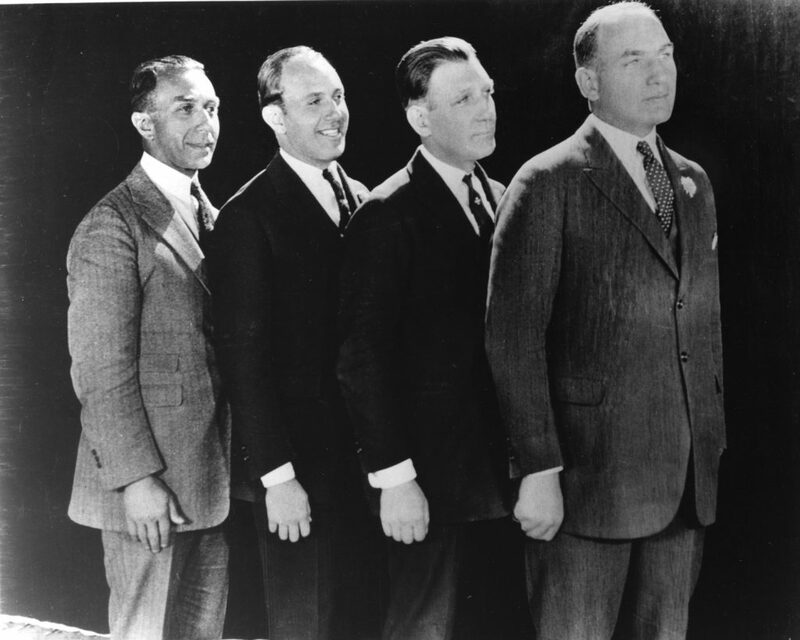 The four Warner brothers – Albert, Harry, Sam, and Jack – had been a part of the film industry since 1903. Their chain of movie theaters provided a decent income for the family, but the Warners were determined to work their way up and create their own films instead of selling and distributing those produced by other studios. The small, family-owned studio was falling behind the big names; its only big success had been its Rin Tin Tin series, featuring the exploits of a daring dog. 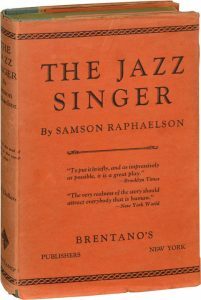 The Jazz Singer is Alan Crosland’s film adaptation of a play by the same name written by Samson Raphaelson, a prominent Hollywood screenwriter. The play was based on a short story by Raphaelson called “Day of Atonement,” which had appeared in Everybody’s Magazine in January 1922. Jack Robin, formerly Jakie Rabinowitz, hails from a dynasty of Jewish cantors. He dreams of breaking the mold and making a name for himself in the nightclubs and concert halls frequented by the younger generation. His spirit chafes at the traditional melodies of the synagogue, yearning to express itself in the freedom of jazz. In the film, Jakie is played by Al Jolson, born Asa Yoelson, a well-known entertainer and himself a cantor’s son. 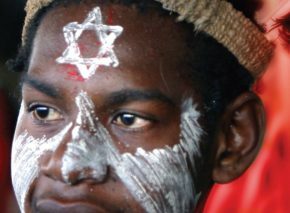 Jakie’s father pressures him to abandon his newfound love and remain within the Jewish community. Sold on jazz, convinced that it captures the spirit of the age, Jakie leaves home. Years later, the long-lost son is summoned to his father’s deathbed. On Yom Kippur eve, Jakie’s parents and their entire community beg him to sing the Kol Nidrei prayer in the synagogue that evening instead of his father. But that evening is the opening night of a show that could be the long-awaited turning point in Jakie’s career. Torn between his family, his Jewish identity, and the American individualism on which he’s built his life, Jakie has to choose. Jakie’s problem is that the “pleasant, simple tune” is no longer enough. He is drawn to the world beyond his community, where each individual defines himself, making the collective irrelevant. With Judaism no longer a liability, he has no need for the warmth of a support group. The community’s sheltering wings are suffocating, preventing him from spreading his own. 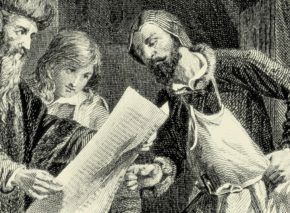 Yet anxious as he is to break away from Judaism, when it comes to cutting his ties to his father, and particularly his mother, he hesitates. Traditional ideals may seem meaningless in the modern world, but everyone needs a home and a family. How can he throw away the trappings of religion without losing his family, the kernel of his being? Jack’s dilemma is clear. Stuck between the ties of tradition and the allure of modernity, he realizes that though the bright lights may dazzle, they don’t guarantee happiness. The price of success is life without a home, without family and community, forswearing love for the false comforts of fame and fortune. This scene, like many others depicting Jakie’s inner turmoil, is silent. His lips move, but his voice is unheard. Torn between conflicting worlds, represented by two musical themes on the soundtrack – one hauntingly Jewish, the other typically American – Jakie struggles to find his own path, his own voice. Unable to appreciate his own worth, he is dumbstruck figuratively as well as literally, finding solace only in thoughts of his distant mother. Jakie pines for his mother’s warmth, not for the rigors of his forefathers’ traditions. He knows he will never find its substitute in show business. It is no coincidence that the first sounds in the film are related to his mother. In one scene, he visits her without his stubborn father’s knowledge and serenades her with a song from his current show – “Blue Sky” by Irving Berlin (born Israel Beilin). Mother and son relish these stolen moments and the forbidden music played on a piano usually reserved for holy melodies. On the soundtrack, we hear the mother harmonizing with her son as the music bridges the gap between them. In another scene, Jakie attends a performance by cantor Yoselle Rosenblatt. 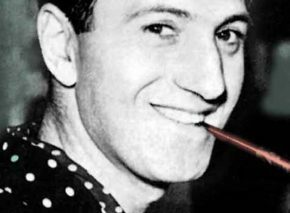 In this vintage performance by the famous Rosenblatt, we hear the Yiddish song “The Memorial Candle,” which reminds Jakie of his mother and her slowly fading world. To find his voice, Jakie must first find the path that suits him and his generation. He embraces both the warm, maternal atmosphere of the traditional world and the modern freedom to realize his dreams and utilize his talents to the full. He rejects his father’s values and the temptations of wealth, leaving behind the restrictions of Judaism to pursue the American dream. Yet even as he ventures further into the outside world, he steers homeward. Having succeeded in bridging two worlds, Jakie finally finds his voice. 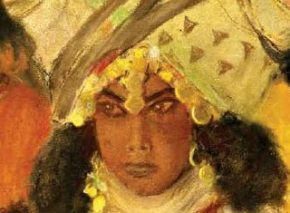 He chants Kol Nidrei in his father’s stead, but as a “jazz singer singing to his God,” as his girlfriend puts it. His mother enters the music hall, and he dedicates a song to her as the audience cheers – both on screen and off. At the beginning of the film, secular and sacred seem irreconcilable. By the end, we understand that the two worlds need not conflict. 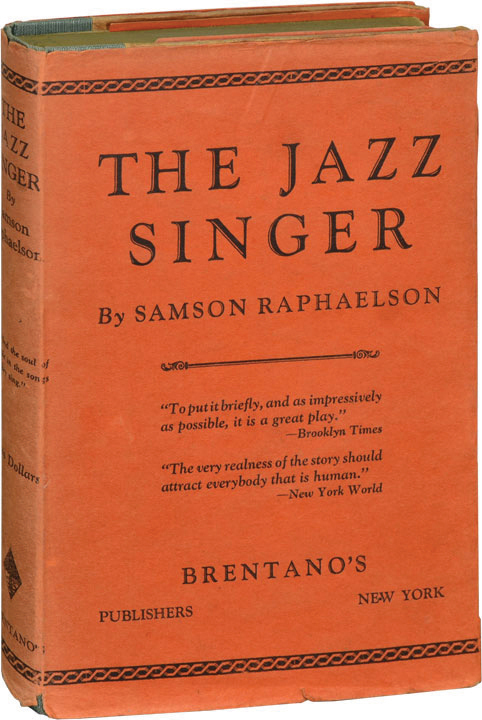 “Jazz is prayer,” claimed the souvenir program that accompanied the movie, quoting Raphaelson’s preface to his play. “It is too passionate to be anything else.” And the author goes further: “One of the Americas of 1925—that one which packs to overflowing our cabarets, musical revues, and dance halls—is praying with a fervor as intense as that of the America which goes sedately to church and synagogue.” The film producers aspired to reconcile the two Americas and bridge the generation gap between immigrant parents and their assimilated children. But that required the parents to recognize the legitimacy of their children’s ways, admitting that jazz can indeed be prayer. The historical significance of The Jazz Singer far exceeds its technical achievements. It defined the challenges facing a generation of immigrants trying to embrace a new world without losing the old. The questions of identity addressed by the film remain potent for any society struggling to balance integration and assimilation. It struck a chord with Italian, Irish, and Hispanic families as well as Jewish ones. 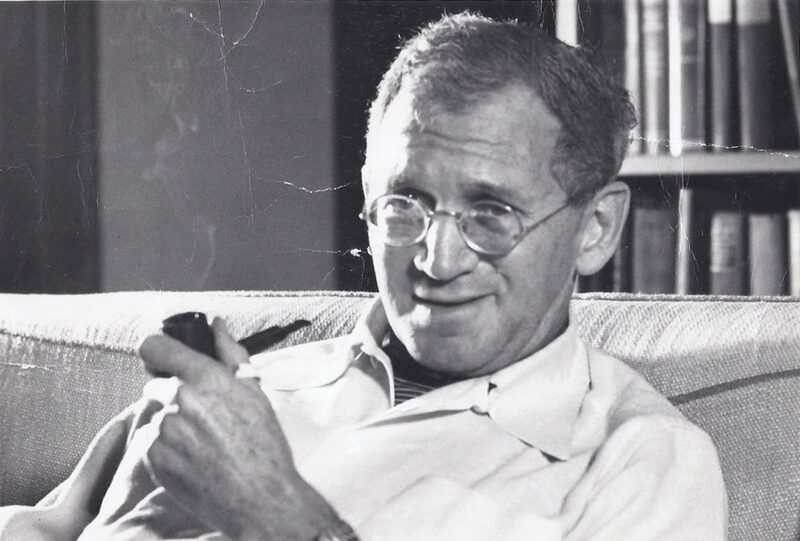 But the film plays above all to Jewish audiences, faithfully reflecting the world of its creators, who, like Jakie, sought to prove that filmmaking was not so far removed from the culture of their fathers. These artists too hoped to be “jazz singers singing to their God,” believing, like generations of cantors before them, that their talents were a divine gift and came with a mission. 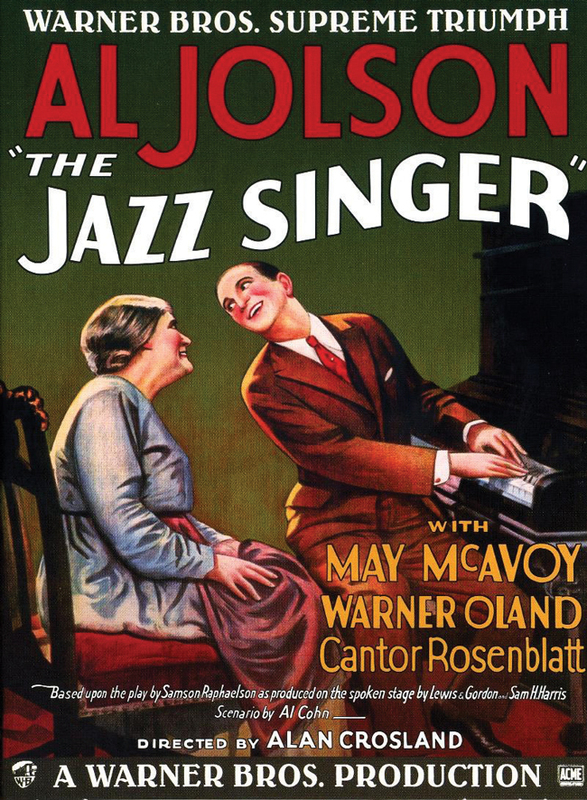 Once sound restored film to the realm of realism, Raphaelson, Jolson, and the Warner brothers used it to illuminate the complexity of their own Jewish identities – many aspects of which echoed in The Jazz Singer. In doing so, they provided an entire generation of Jewish immigrants, hitherto silent, with a voice. Of The Jazz Singer’s many messages, perhaps the most Jewish is those immigrants’ dream of finally finding a place where they belonged.